The 'Arctic Oil Rush' is threatening to cause unprecedented devastation in the Arctic. Shell, BP, Exxon, Gazprom, Rosneft and others want to risk a devastating Arctic oil spill for only three years’ worth of oil. 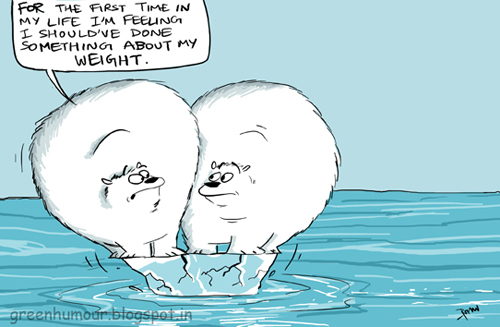 In the last 30 years, the world has lost about 3/4th of the ice cover in the north. As global warming goes on, the Arctic ice continues to melt bit by bit and several endangered animals like the Polar Bear cruise towards extinction. Join Greenpeace's initiative here http://www.savethearctic.org/ called 'Let's declare a global sanctuary in the Arctic'. It sure is a now-or-never situation. Yes, that is true. Our guide from http://poseidonexpeditions.com/ mentioned that near 10 years ago there was much more ice in there.